This holster with automatic locking system (ALS) builds on the foundation of the self locking system (solves). it locks the weapon in all directions upon holstering, it's operable with the thumb, and the weapon can be drawn straight out of the holster with no twisting required. 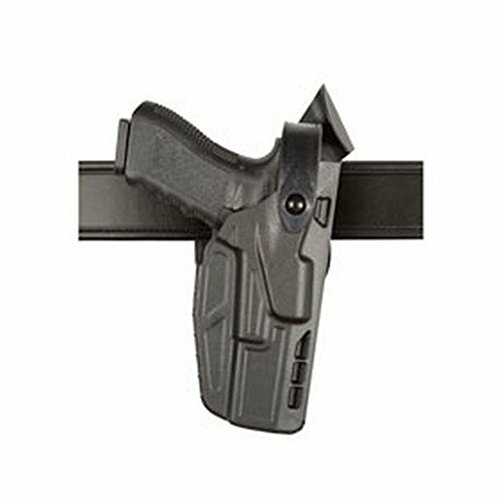 The mid-ride belt loop allows the holster to ride close to the body. This 1184072 is constructed of the innovative safaris even material, a unique nylon blend from DuPont. Safaris even is highly durable and practically impervious to the elements.